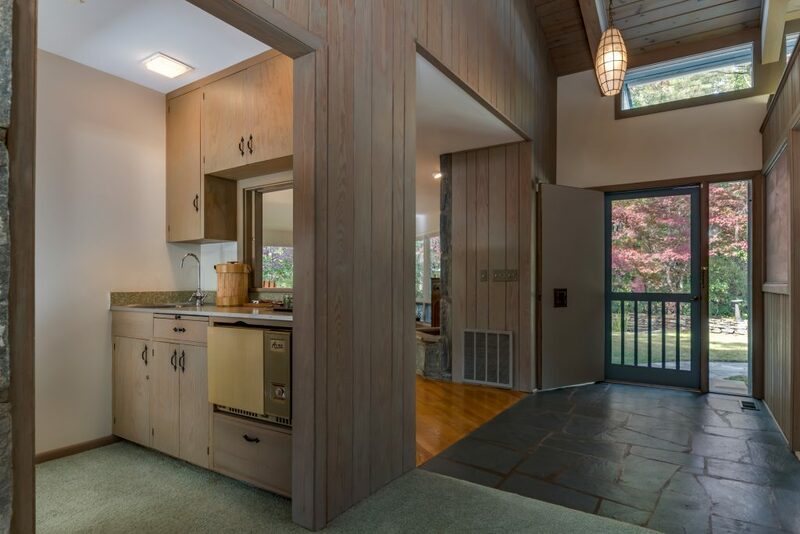 Classic Tryon, NC Mid -Century Home with Custom Touches Through Out! 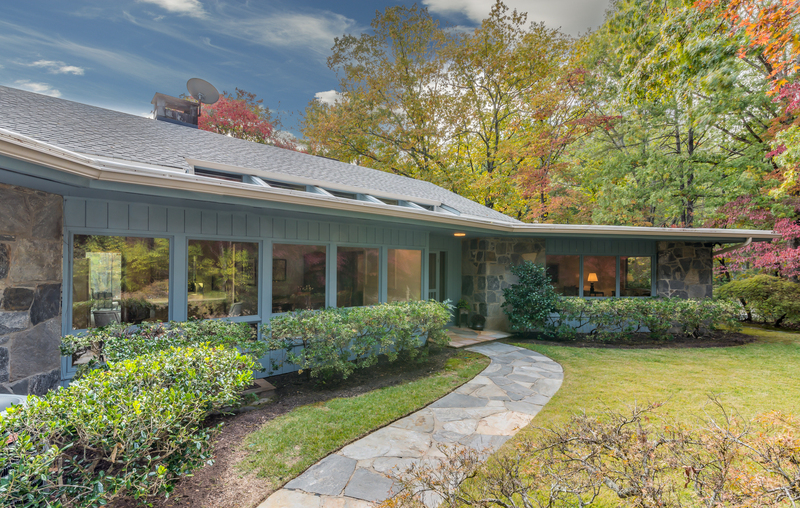 Tryon, NC Homes with Guest Houses for Sale. 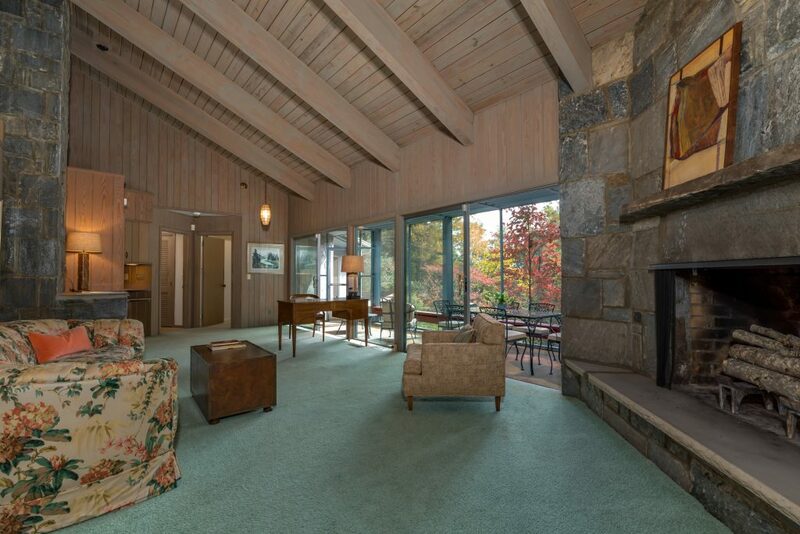 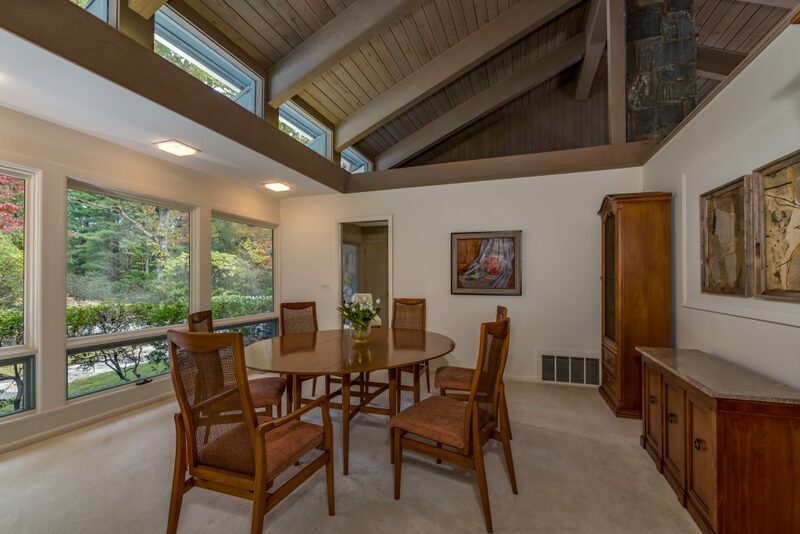 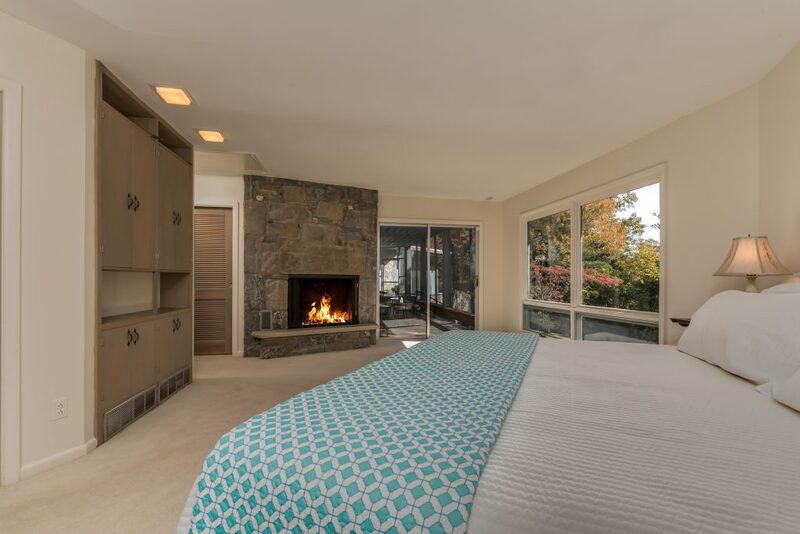 This special 2BR/3BA mid-century stone & wood home is a real treasure. 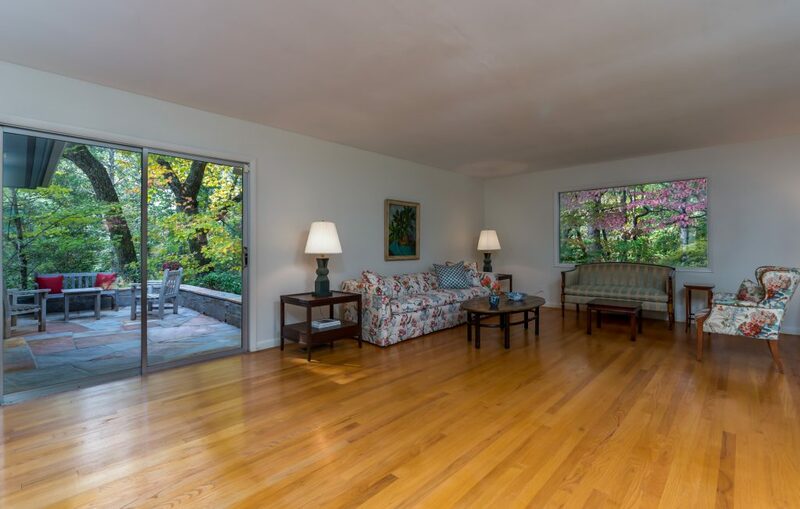 It has a an open/airy feel with it's high wood beamed ceilings, soaring stone fireplace and unusual floor plan yet at the same time is cozy, comfortable and private. 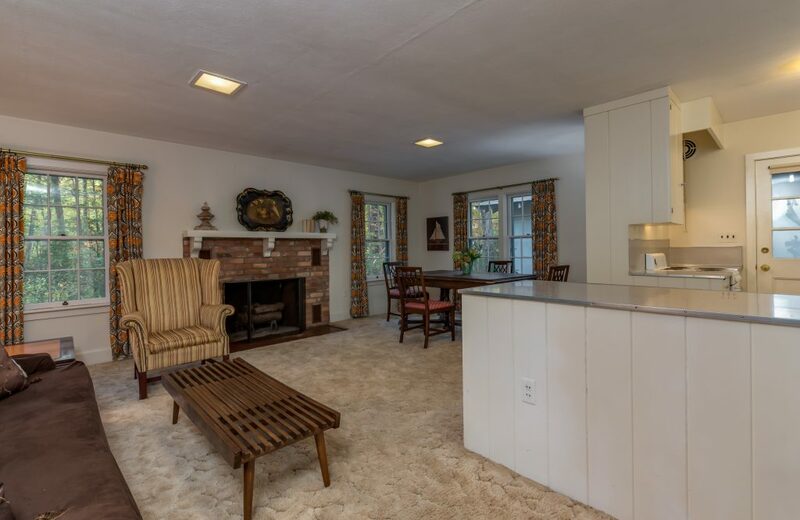 You will step back in time but you will also feel the very contemporary/timeless aura and quality. 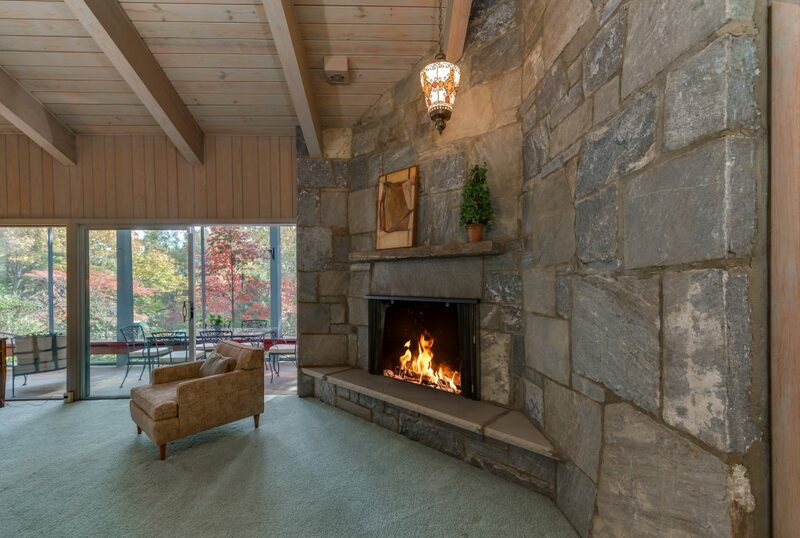 The screened porch and stone terraces allow for outside access from almost every room. 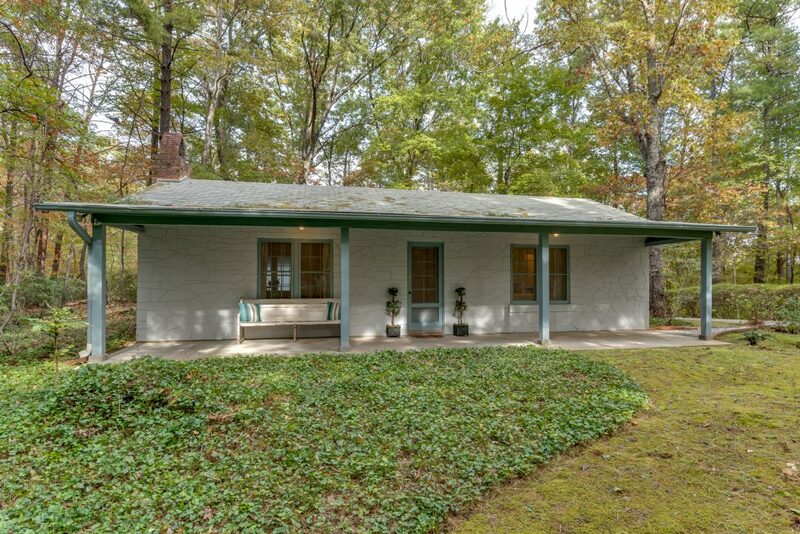 There is an additional garage and a charming 1BR/1BA guest house.